San Antonio (March 18, 2019) — UBEO Business Services—a premier provider of printer, copier and related office equipment sales and services—has become the largest independent dealer of its kind in Texas, with a series of strategic acquisitions announced today. This comes on the heels of the November 2018 acquisition a regional leader in California. PrintRX LLC in San Antonio and Braswell Office Systems, Inc in Corpus Christi are now UBEO companies and will continue operating under their existing names. Each acquired business will keep its leadership and teams but will be designated a UBEO company. 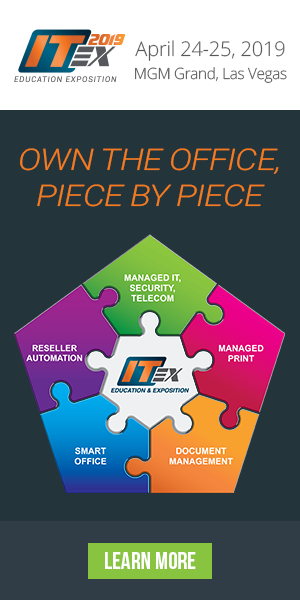 • PrintRX has grown from its beginnings in 1970 as a copier dealership to a 25-employee operation offering a broad range of business technology and managed print solutions. • Braswell, the oldest of the newly acquired companies, has operated and provided superior quality service to their customers since 1945. UBEO, founded in 2004, has distinguished itself through a 21st-century approach to an age-old business consideration: documents. For an industry often referred to as “copiers”, UBEO continues to grow through a powerful combination– a commitment to service and a passion for innovation. UBEO and its growing roster of companies across the state and nation offer an array of services, including print fleet management, electronic document management, production print solutions, interactive communications and managed IT. Co-headquartered in Austin and San Antonio, Texas, UBEO is now the fastest growing business technology organization in the country. While the organization is rapidly growing, its commitment to excellence is paramount. UBEO Business Services with its best of breed offering remains committed to being the “high-end customer experience” in the industry. UBEO’s success is attributable to its commitment to acquire best-in-class companies and build a premier brand in the Document Technology industry.